There are 61242 seconds remaining in this day. You are here: Home / Motivational / Do You Know Where You’re Going? Jim Huebner had never climbed a mountain when he decided his first attempt would be Alaska’s Mt. McKinley, one of the tallest and most difficult mountains in the world. It took him three tries and three years to make it up to the 20,000 foot summit. When you try something new you learn lessons, and one of his lessons is today’s quote. So what does this mean for those of us who are not likely to be climbing mountains? Do you know where you’re going? What are your life goals? Your business goals? How often do you look away? Get distracted? Do you ever find yourself looking back? Thinking about those things you shouldn’t think about…past failures, fears, doubts, worries? I can’t, I won’t, it’s too hard, it won’t work? 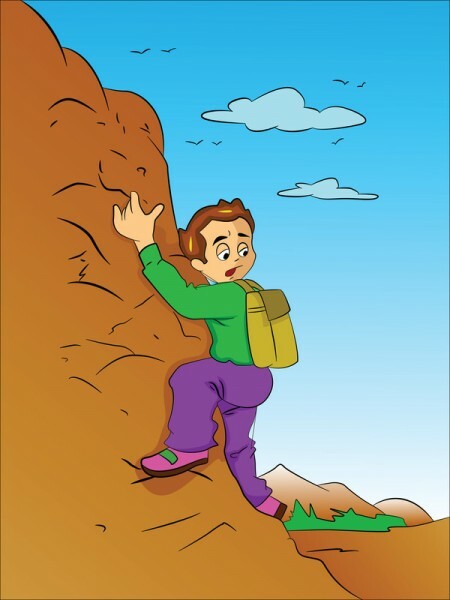 Looking where you don’t want to go can be fatal for mountain climbers. While it may not be that disastrous for the rest of us, each time we do it, it becomes more and more likely that we will miss our target. Our thoughts create our beliefs, and our beliefs determine what we experience. Making it a habit to never look where we don’t want to go keeps us on track for memorable, fulfilling and positive experiences.